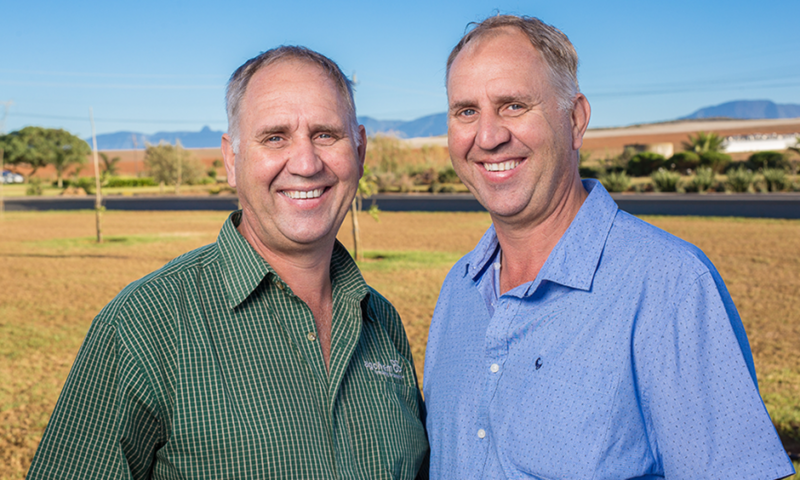 At the helm of Jireh are the identical twin brothers, Johan and Pieter Willemse. From the onset of their business, the brothers placed their entire farm in the hands of God, from there the name “Jireh”, which means “provide”. The brothers realised at an early stage that if they wanted a sustainable farm, they would have to make conservation a priority. Jireh Foods is a “family in business” where each individual is important and their interests and well-being looked after. The brothers come from a rich farming background and both their father as well as grandfather were farmers in the Hessequa district. They have more than 25 years’ experience in agriculture of which they spent 12 years farming with their father. It is from him that they inherited their love of grain-farming. Pieter is head of management and loves motivating and interacting with people. Brother Johan enjoys marketing and innovation and is more involved with crop cultivation. At Jireh, we provide employment to about 90 individuals at our factory in Riversdale, 25 on our farms, and 13 on our dairy farm. We believe in creating jobs for members of our local community to assist them in enriching their lives.